I spent over a decade in Christian Missions traveling around the world often to help people in real misfortune. For this reason, I have seen a lot of calamity, pain, and adversity. Also, I have seen a lot of different ways to deal with difficult situations. A few years back I traveled to Fiji after a massive cyclone hit the country, leaving it in shock and devastation. As I was preparing to travel, I felt God put a message on my heart. It was a message for people who had experienced adversity. As a matter of fact, this message was very similar to a message He had given me a few years prior when I went to do disaster relief in the Philippines. Subsequently, as I have spent the last couple of years working through this message in my heart, I have also found that the same word applies to other parts of the human experience. Hardship can also be personal, in our relationships, at work, physical, mental, or even be a spiritual hardship. 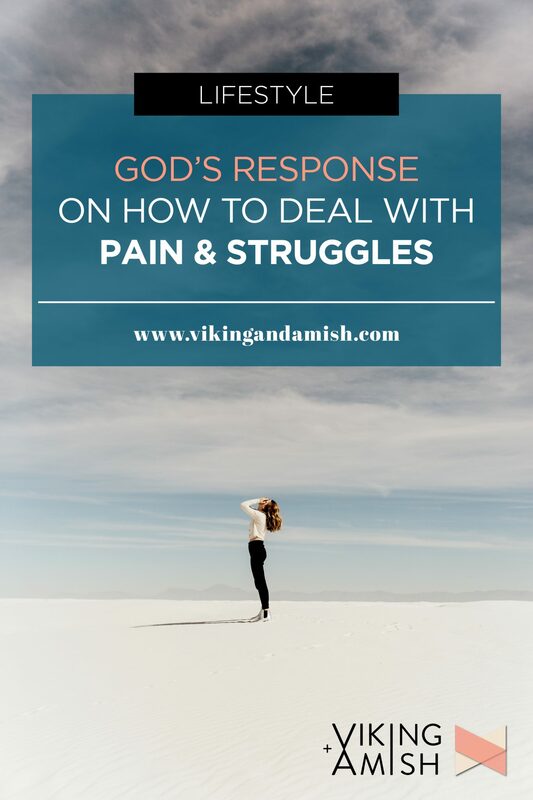 While I know that this post might be controversial, and it might not apply to the difficulties you are going through, I assure you I have nothing but good intentions and hope for this message. Chaos. Difficulties. Hardship. I guess you, like most others, have experienced it. Adversity is part of every human’s story. No life is genuinely lived without hardship. Moreover, one man’s misfortune is another man’s small annoyance. Basically, everyone’s pain looks different, but we all experience it of some sort. A person we love might hurt us. Or it could be in work relationships between a co-worker and us. Financial, struggling to get by and provide for a family. Maybe physically; struggling with pain in our body. Losing someone we love. Trying to solve a problem. Adversity comes in many forms. One thing I often experience as I traveled is a need to explain WHY disasters happen in the first place. The Bible tells the story about Adam and Eve. They sinned against God and as a result, sin entered the world. Alongside sin, death, also, came (Genesis 3:22-23, Genesis 3:17.) Consequently, our world is fallen; which is Christianity’s response to why natural disasters, pain, and death is part of human life. Jesus told a parable about the different outcomes when the storms come. He said that “the ones who build their house on the sand would see their life wash away, but those who built it on the rock would resist the storm (paraphrased: Luke 5:48-49).” The storm is a metaphor for difficulties, hardship, struggle, and pain in our lives. The reason why Jesus taught this was that some of the disciples applied Jesus teachings while others did not. Through the analogy, Jesus promised two things. Firstly, Jesus promised that those who use his teachings WILL get through the hard times. What a wonderful encouragement. 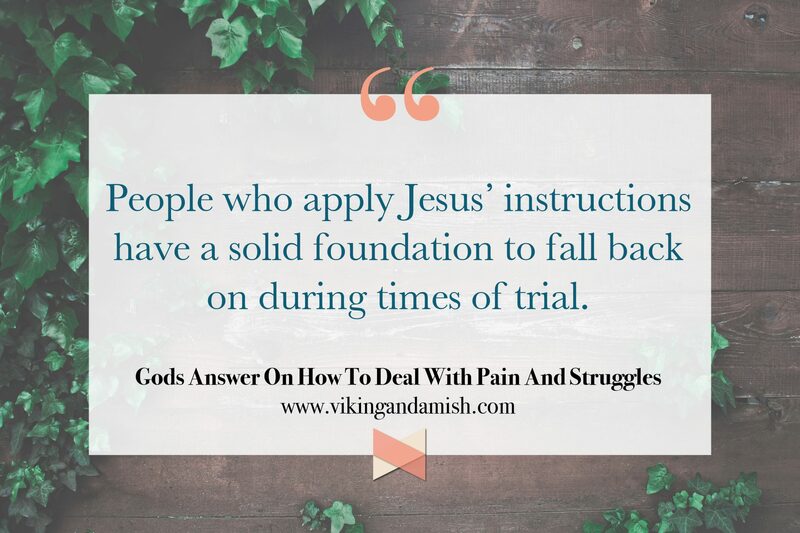 People who apply Jesus’ instructions have a solid foundation to fall back on during times of trial. In contrast, those who don’t apply his lessons or don’t know his teachings will have a troublesome time. In this case, those of us who understand Jesus education can encourage and help those who don’t. We can teach them what He has taught us about love, about hope, about heaven, about God, about how to live a good life, and about how to be a good friend. Secondly, Jesus also promised that the storms WILL come. At least, He said as much to His disciples. No matter how holy we live, no matter how right we worship, “storms” still come. As shown above, they come because we live in a broken and fallen world. Still, the Bible shows us a way to get through the difficult times. When thinking about a person in the Bible who went through adversity, Job comes to mind. Job loved God a lot, and God was pleased with Job. Nevertheless, we know that Job went through a lot of hardship. Job lost his family, his household, and his wealth. He also lost his health. Finally, Job had nothing left but the ashes he is sitting in and the boils on his body. Somehow, God; a good, merciful, gracious, God, still allowed this hardship to happen. Without delay, Job’s wife and friends tried to advise him on how to deal with the difficulty. In truth, their advice was not great. Therefore, I have included their advice to help us learn from it. Job’s wife told him to “curse God” so God would kill him. In brief, her solution to the problem was to throw the towel in the ring and give up. She thought he could escape the adversity by giving up; to end his process and not see it through. Nonetheless, Job refused to curse God’s name. He kept searching for an answer to why the calamity was happening to him. Eventually, God did respond. Sometimes we see people turn away from God when the storms come. Their foundation is not in Jesus’ teaching, and they give up. If you know anyone who has given up, please encourage them to turn back to God and let God help them. Let’s help our friends build their life on Jesus’ teachings. Job’s friends tried to convince him that he must have sinned against God, otherwise, God would not have allowed tragedy to happen. THIS IS FALSE! Obviously, I am not against repentance, but in this specific instance, it implies that God is the initiator of tragedy, which He isn’t. Tragedy happens because sin and death are already in the world, not because God punishes. Sometimes tragedy can be self-inflicted, still, God is not the initiator of it. God is FOR His people, not against. He is not a God of punishment—He is God of salvation, love, and mercy. As a matter of fact, He is the one that gives us the grace to get through the hardship. Just like a house build on the rock. Eventually, Job believed that God somehow was to blame for his misfortune. While Job was mourning in the ashes, he demanded that God explained Himself to Job. To Job, his suffering was much like a math equation. Similarly, he was requesting an answer like an “itemized bill” and he had prepared an answer for each charge. In Job’s head, it all came back to sin; being punished for sin. Only, God’s answer to Job had nothing to do with sin in Job’s life. Contrarily, it had to do with God’s sovereignty and character. Job 38:19 “Where does light come from, and where does darkness go? 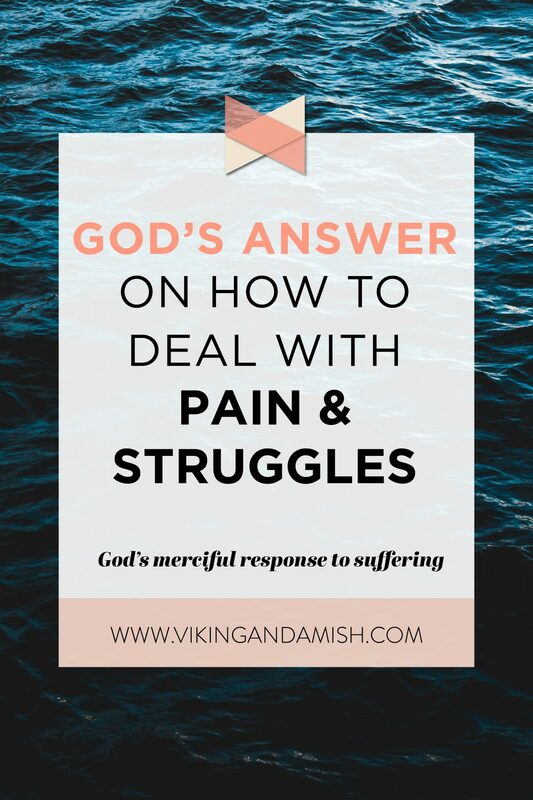 God allows suffering, just like He allows free will. That might seem counterproductive but He does so out of mercy. In His mercy, He allows suffering because if He got rid of it, He would have to get rid of everything that causes pain in the world. And guess what, that would include us, humans. In conclusion, God permits suffering, but through it, He also allows us to see His face! Therefore, I say this with the utmost respect for your pain and struggle, that it is in our suffering that we are the closest to God. 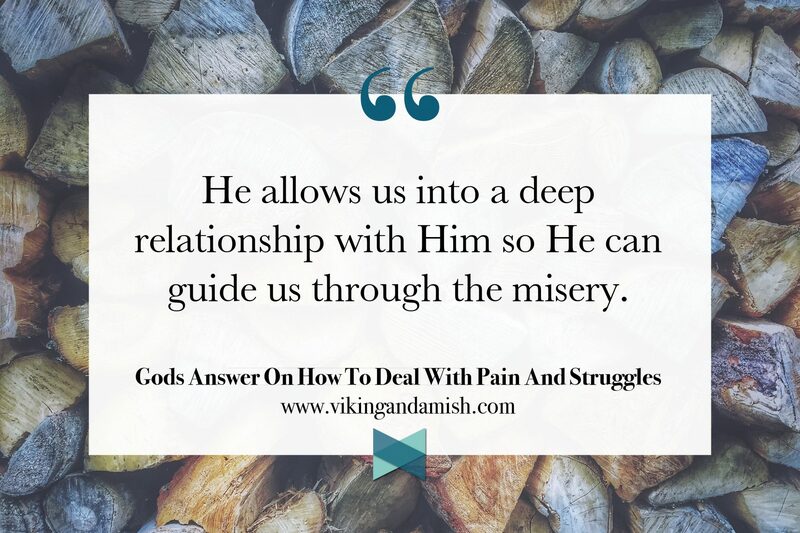 He allows us into a deep relationship with Him so He can guide us through the misery. He encourages us to worship Him in our suffering. God permits pain, simply because He is the cure. Finally, I believe that hardship builds character. 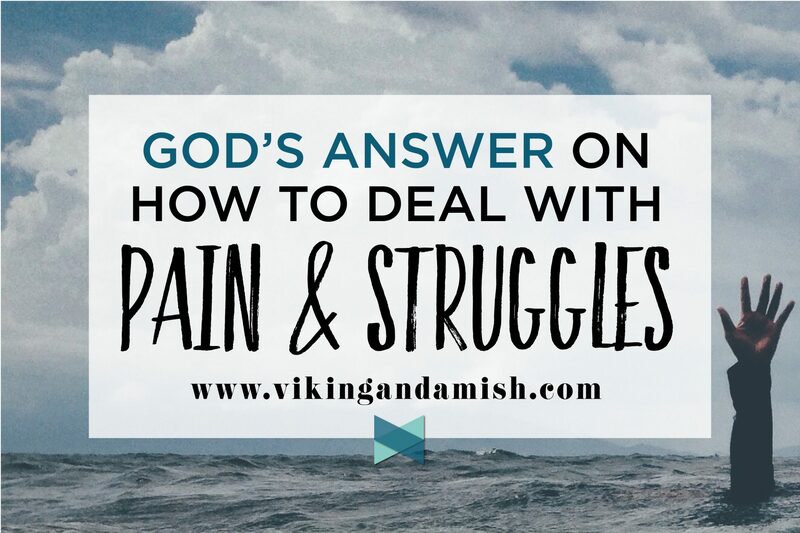 If we focus on God, the pain won’t necessarily go away, but it will become much easier to handle as we begin to have. Thus, our response to hardship is in our hands. 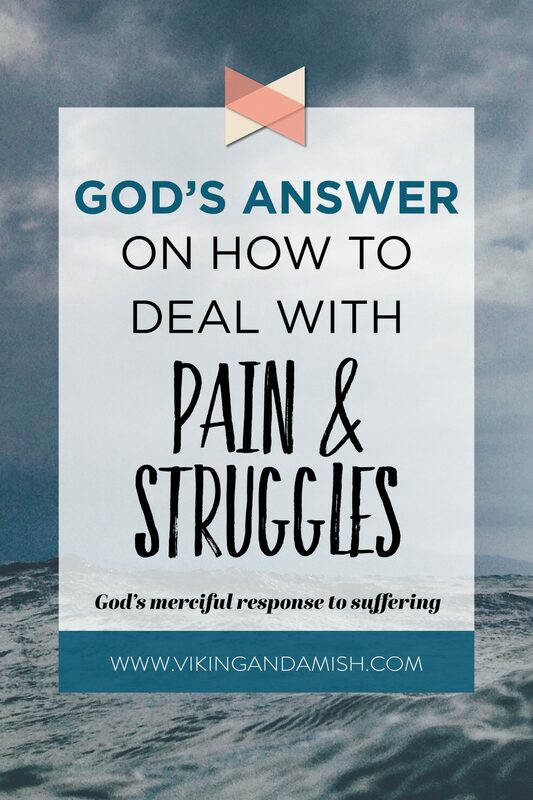 Indeed, with God’s help, you can become stronger than your suffering. May God show you His face in your adversity!